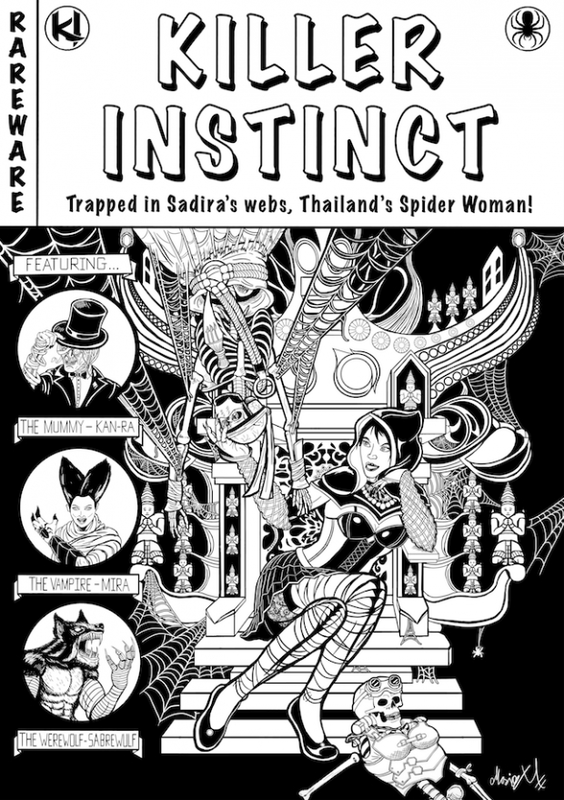 Inked Killer Instinct Fan art in the form of a 1950's era EC horror comic like Tales from the Crypt. This one features Sadira in her alternative vampire costume with the remains of twins Jago and B. Orchid. She is sitting on the throne of the Red Eyes of Rylai from her stage in the game. On the side are Kan-Ra in his fancy Top hat costume, Mira in her Bride of Frankenstein costume and Sabrawulf from her Killer Instinct 2 bionic arms rendition. This was supposed to be done for Halloween 2018 but I didn't finish it in time.